In the drive to be more eco friendly and have a smaller environmental imprint, a number of companies are striving to re-invent the DVD to be more eco-friendly. Plastic is a major constituent of DVDs. In the year 2005, 18,000 tons of polycarbonate was used in manufacturing 1.6 billion discs which were distributed via newspapers and magazines Western Europe alone. German DVD manufacturer ODS has developed a super thin DVD that uses half the amount of polycarbonate plastic than a regular DVD. These discs are single layer discs and do not use non-biodegradable bonder that is used in multi layer discs. Japanese DVD manufacturing company Pioneer has experimented with making high grade DVDs using cornstarch. 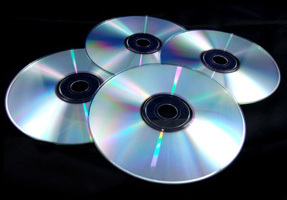 Companies such as Sony and Toppan are experimenting with making Blue Ray Discs using paper instead of polycarbonate.� Paper discs will not only be more eco-friendly but also prove to minimize security risks that can be caused by the disposal of discs. A normal disc would require a great deal of heat to incinerate it. Sanyo has developed what it calls a MildDisc which is made from polyactic acid. The acid is a byproduct from corn kernels. This substitutes the use of polycarbonate. In theory, these discs will be broken down into water and carbon dioxide once by micro organisms in the ground. According to Sanyo, one ear of corn can be used to manufacture ten such discs. Companies have already made the packaging of DVDs environment friendly. The paper used for printing DVD covers is now recyclable paper. For the external casing of the DVD, fiberboard is a suitable option.� Fiberboard is a completely bio-degradable material. This material is unbleached and unvarnished. Printing is done in full color or minimal tones and effects such as emboss and subtle spot gloss can be used as well.� Fiberboard may be used to make CD jackets either in a tall or box format. Another alternative to fiberboard is using a CD tray that is made out of 100% recycled pulp paper.